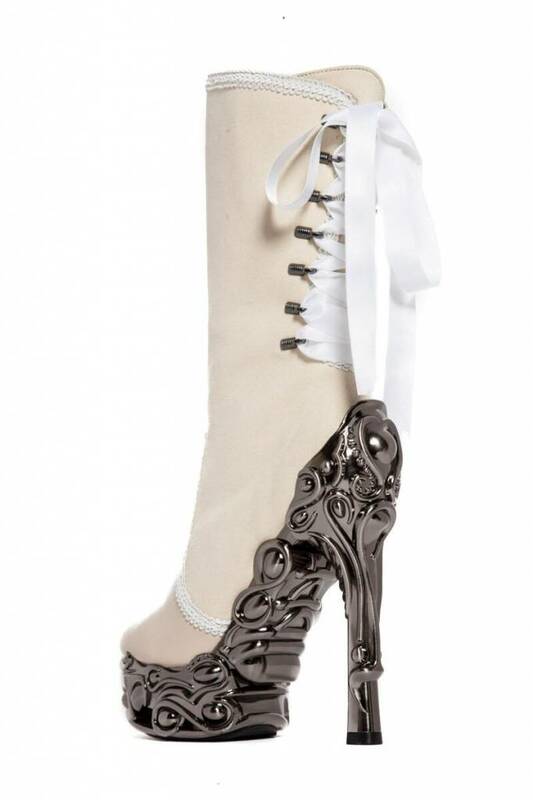 Micro-suede shafts above polyurethane vinyl comprise these mid-calf boots with adjustable satin laces up the back, and edges decorated with coordinating soutache braid trim. Part of the exclusive Proteus designer collection. 6" custom molded heel with 1.5" matching platform are chromed and burnished for a sleek and striking look. 100% vegan, even the glue.